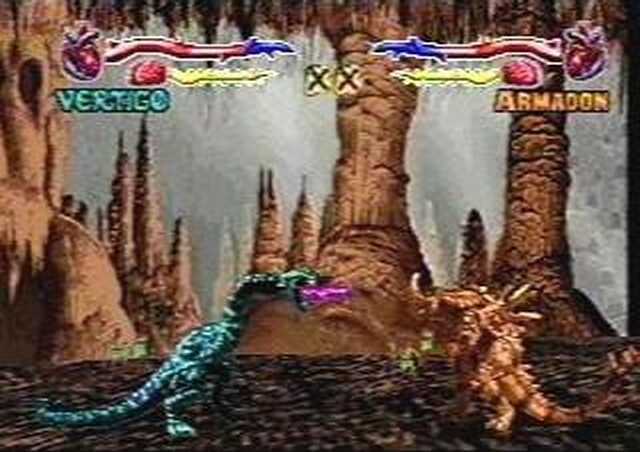 Imagine a fighting game where you controlled dinosaurs and prehistoric monsters. 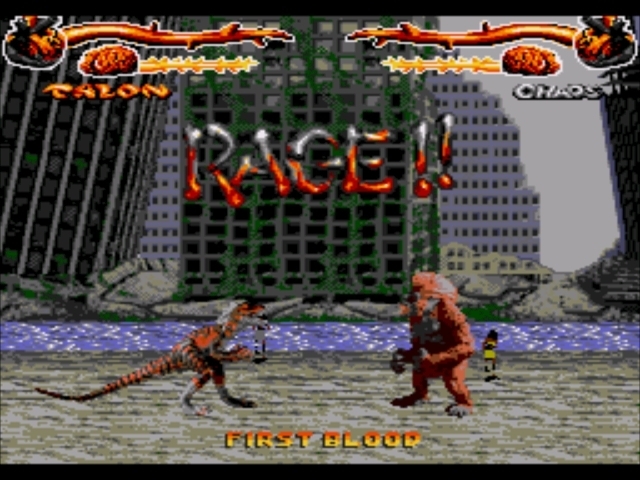 Now stop imagining, because this game exists: It's called Primal Rage, and when I was ten years old it was the best thing ever. Players dueled to the death using giant beasts, while tiny humans mill about your feet for quick snacks and score bonuses. 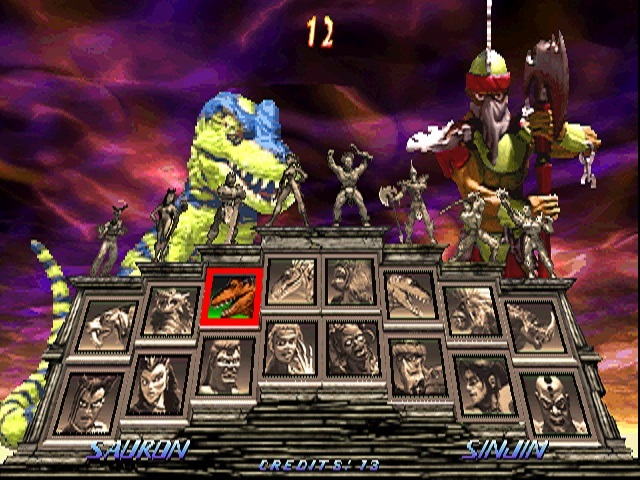 Character types included a velociraptor, two T-Rexes, and a King Kong-sized ape with fart and vomit attacks. How has someone not made a sequel for this game? 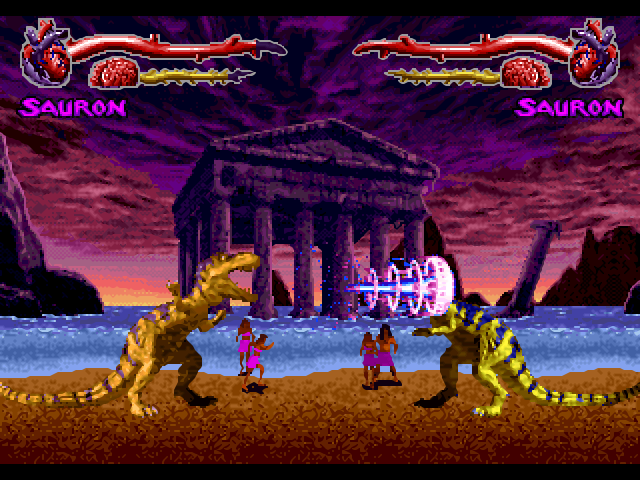 But for all its prehistoric trappings, Primal Rage is not set in the distant past - in fact, one battle arena clearly takes place in a ruined city filled with skyscrapers. 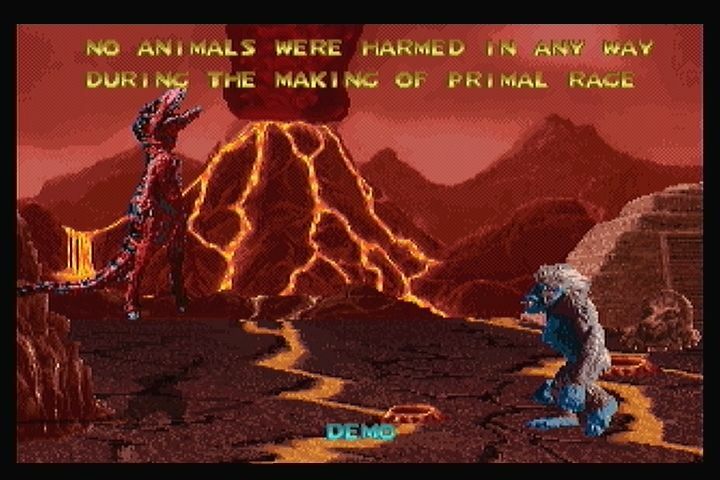 Reading the manual confirms that Primal Rage is set following a catastrophic meteor strike that took "Urth" back to the Stone Age. The cataclysm also awakened ancient godlike beings beneath the planet's crust who are eventually worshiped by human clans. When Primal Rage begins, these creatures have renewed their ancient wars, motivated either by protecting Urth or conquering it for themselves. Sadly, the planned sequel was eventually cancelled, and cannot be played outside of a few rare prototype arcade cabinets. Which is a shame, because this franchise is basically King Kong Vs. Godzilla: The Post-Apocalypse Game.